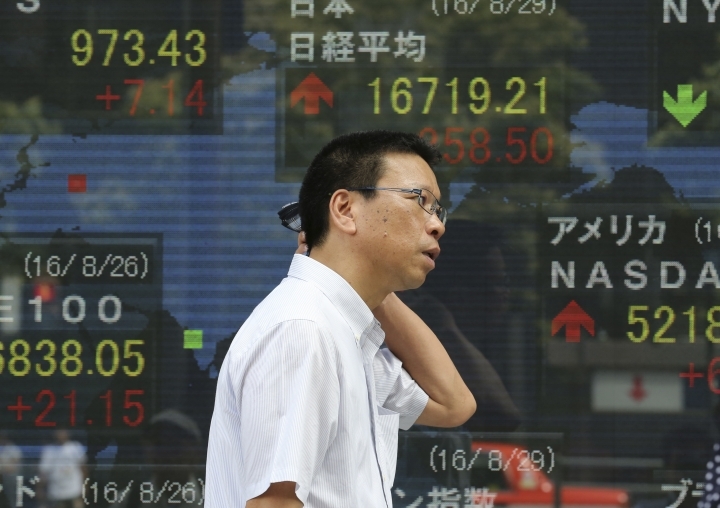 TOKYO — Most global stocks slipped Monday after the head of the U.S. Federal Reserve late last week said the case had strengthened for raising interest rates. The Tokyo market was an exception and gained on prospects for a strong dollar. KEEPING SCORE: France's CAC 40 lost 0.9 percent to 4,401, while Germany's DAX fell 0.7 percent to 10,513. The London Stock Exchange was closed for a summer bank holiday. U.S. shares were set for a modest open, with Dow and S&P 500 futures unchanged. FED FACTOR: Fed Chair Janet Yellen made comments Friday that were bullish on the economy but gave no timetable for future rate increases. That increased speculation that an interest rate increase is more likely this year. Low interest rates in recent years are credited for helping stock markets hit record highs, so the prospect of higher rates set off worries among some investors. THE QUOTE: "The dollar jumped after the Federal Reserve's chairperson, Janet Yellen, signaled an impending rate hike in a speech at Jackson Hole last Friday," said Margaret Yang Yan, market analyst at CMC Markets Singapore. "While the rate hike has not yet happened, markets have already begun to move and shift with the assumption of a hike." 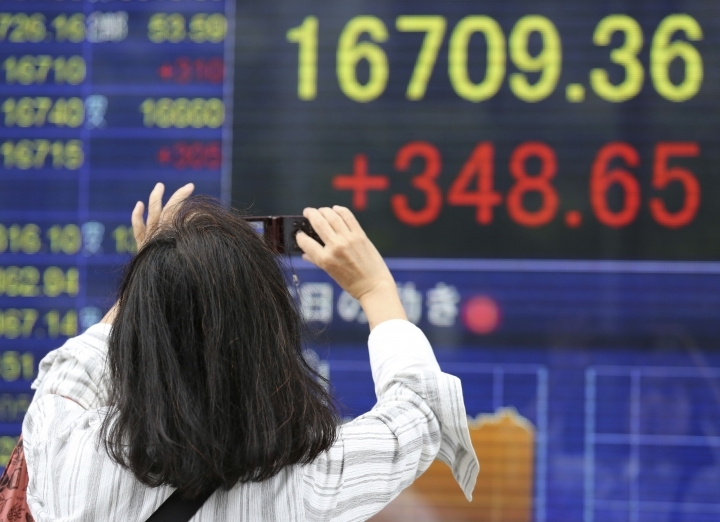 ASIA'S DAY: Japan's benchmark Nikkei 225 added 2.3 percent to close at 16,737.49. Japanese stocks generally gain on a weak yen because the earnings of the nation's giant exporters are boosted. South Korea's Kospi fell 0.3 percent to 2,032.35. Hong Kong's Hang Seng slipped 0.4 percent to 22,821.74, while the Shanghai Composite inched down 0.01 percent to 3,070.03. ENERGY: Benchmark U.S. crude oil fell 64 cents to $47.00. It had risen 31 cents on Friday. Brent crude, used to price oil internationally, lost 69 cents to $49.23. CURRENCIES: As currencies tend to rise as interest rates increase, the dollar jumped on Yellen's comments. It rose to 102.21 yen from 100.51 late last week in Asia. The euro fell to $1.1177 from $1.1289.